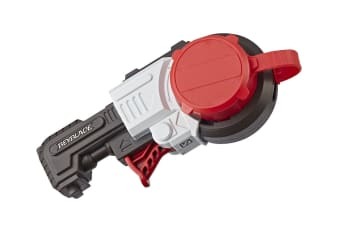 The Beyblade Burst Turbo Slingshock Precision Strike Launcher works with right or left-spin Beyblade Burst tops, including Slingshock tops. Slingshock tops feature converting Performance Tips designed to amp up the battle by riding the rail systems of a Slingshock Beystadium. Slingshock rail systems hurtle tops around curves and redirect them toward epic burst moments. The Beyblade Burst Turbo Slingshock Precision Strike Launcher is trigger-activated for a more precise launch. Battle with Slingshock tops* and a Slingshock Beystadium* to aim and attack on the Slingshock rail systems that send tops into the most intense head-to-head clashes! 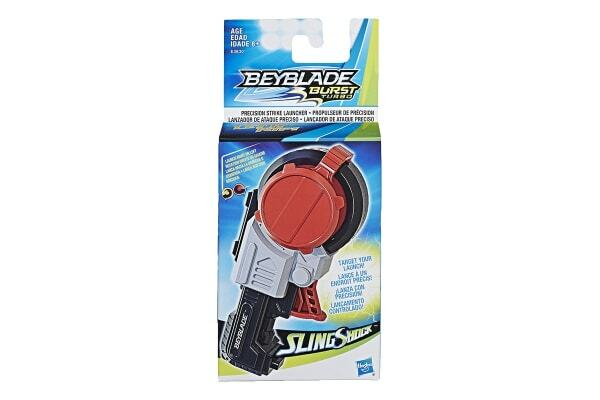 Target your launch over different parts of the Slingshock Beystadium to vary your battle strategy.